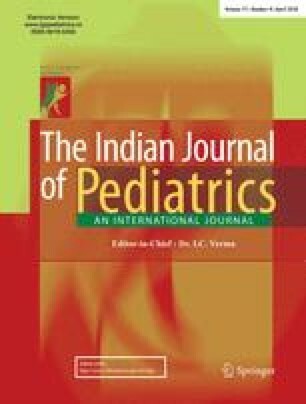 To evaluate the developmental profile of children with iron deficiency anemia (IDA) and the changes following iron supplementation. Study was conducted prospectively in a tertiary care teaching institution. Subjects were children aged 6 months to 5-years, with IDA, proven by hematological parameters and iron studies. Complete blood counts and iron studies were performed at the beginning and following 3-months therapy with iron. Simultaneously, development was assessed by Developmental profile II (DPII), which was interpreted using IQ equivalent (IQE) scores and ‘fractional months differential’ (FMD). Thirty five children fulfilled predetermined inclusion criteria. The mean-age was 22.3±13.4 months. Majority (71.4%) had moderate, while 5 (14.3%), each had mild and severe anemia. Significant developmental delay was observed in iron deficient children. Maximum delay was observed in academic and communication domains. 6 (17.2%) failed developmental screening, with IQE scores of <70. Significant improvement in DPII scores was noticed following therapy. Although some gain in IQE scores was noticed in the majority (88.6%), significant improvement (e310-point gain) was observed in about half (51.4%). Interpretation of DPII by FMD revealed significant improvement in all the domains as well. Children with IDA have suboptimal developmental scores. The delayed development is variably reversible following oral iron therapy. Hb d£7 g/dl and age >24 months predicts suboptimal outcome. FMD is a useful method of interpreting DPII.